Rare take on the premium hatchback. Very well built. Decent amount of standard kit. 1.5-litre diesel is frugal. Five star Euro NCAP rating. Expensive. Uninspiring cabin design. Not much space. Limited engine range. Poor depreciation. Unyielding ride in Sport models. 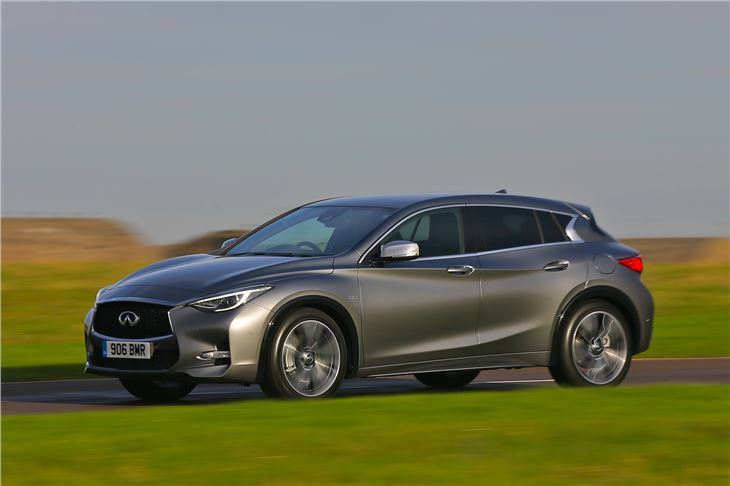 Report of patches of paint peeling from the bonnet of a 2016 Infiniti Q30. 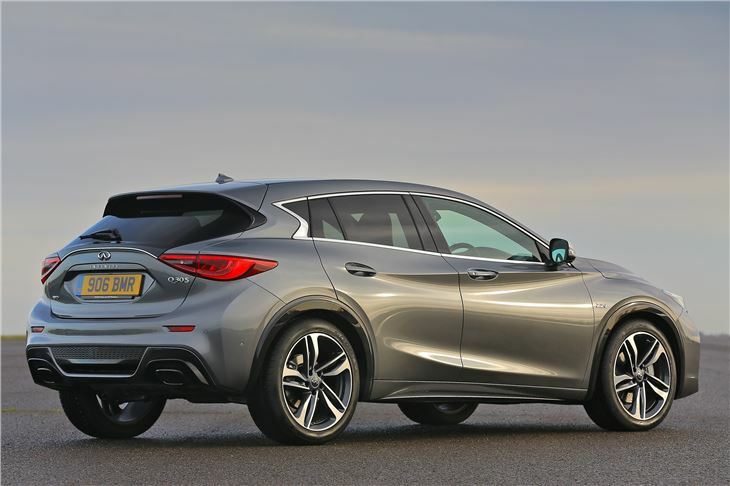 Along with its high-rise sibling the QX30, the Infiniti Q30 premium family hatchback is one half of a duo designed to take Infiniti mainstream in the UK, finally. Is it good enough? Honestly, probably not. Built alongside the Nissan Qashqai (Infiniti is owned by Nissan if you didn't know), the Q30 is based heavily on the Mercedes-Benz A-Class, including its engines, gearboxes and interior. The result is a car that, funnily enough, feels a lot like an A-Class. 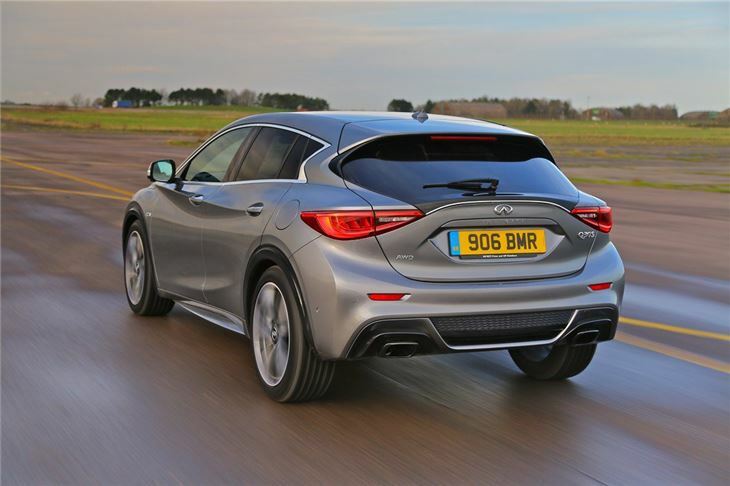 But that’s not necessarily a great thing, because the Q30 does little to improve an average donor car. For a start, while the boot is quite big for the class, elsewhere the Q30 feels cramped and the cabin offers no real spark or inspiration. That might be okay if the Q30 offered some USP to the premium hatchback buyer, but it doesn’t. It costs no less than the A-Class, will depreciate more quickly, shares its donor’s juddery ride quality and comes with a run-of-the-mill engine choice. 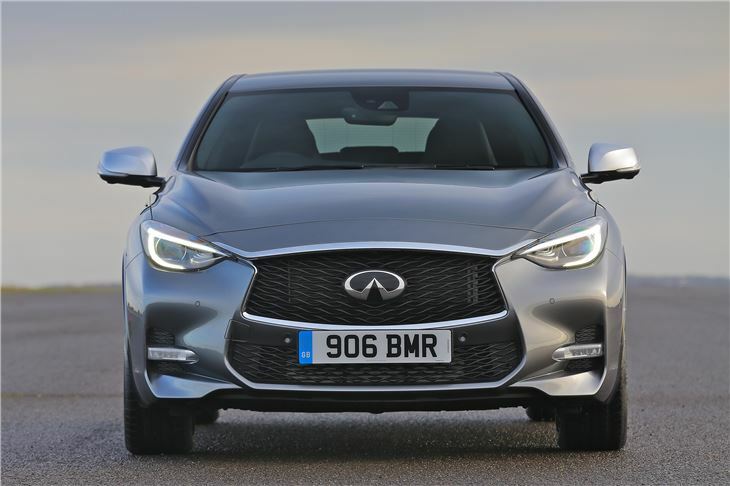 The Q30 engine range is bookended by a 1.5-litre diesel returning 68.9mpg - which in fairness is very economical, albeit very slow - and a 2.0-litre turbo petrol with a 7.2-second 0-62mph sprint. By comparison, the turbo offers performance identical to a SEAT Leon 1.8 TSI FR DSG, but its price tag is around £7000 higher. There’s a wide range of trims to choose from, with every version well equipped and prices starting from a not unreasonable £20,000 or so – although you’ll have to factor in relatively poor depreciation. 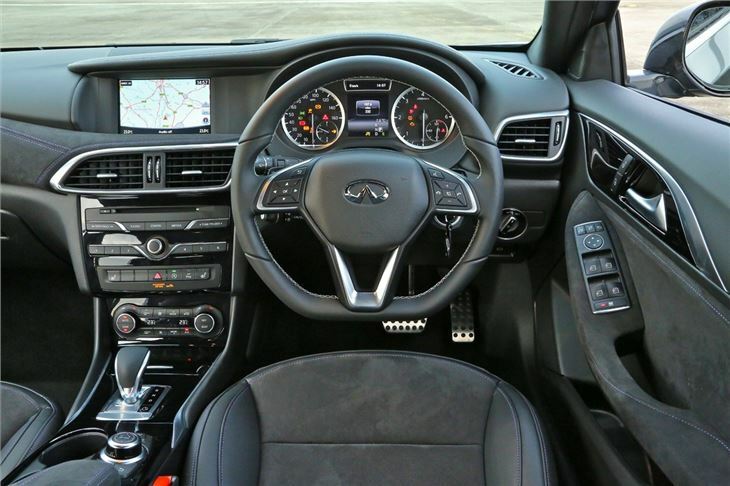 Every Q30 also comes with a semblance of exclusivity, by virtue of rarity. It’s built nicely too, with that feeling of depth and solidity that the Japanese do so well. 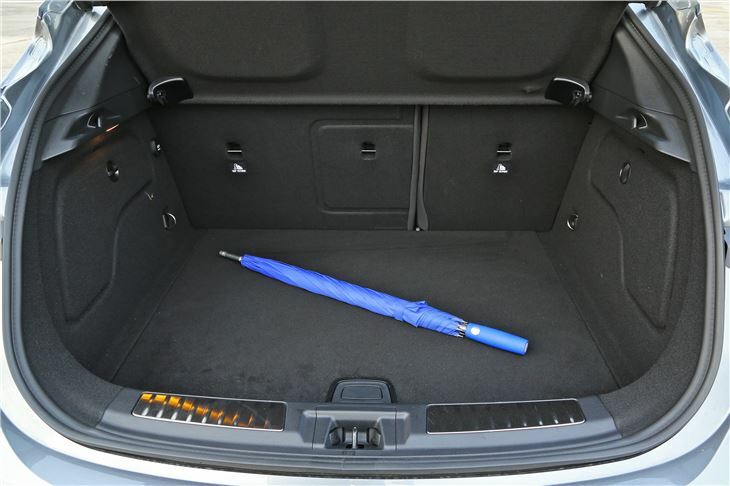 And it has a Euro NCAP five star rating. The Q30 is far from as lacklustre as we’ve probably just made it sound, it’s just that it suffers from a real identity crisis. 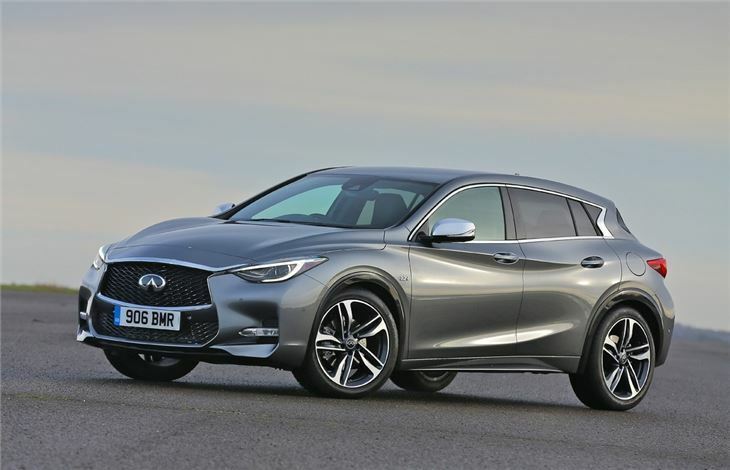 It’s pitched in an awkward no-man’s land between sporty hatchback and luxury five-door - the Q30 is neither especially comfortable nor great to drive. A half-decent first go at a premium family hatchback for Infiniti then, but there's very little here to sway a buyer away from any number of well established - and better value - alternatives.